I really don't want to write more about the Ferrari document scandal but I am beginning to suspect that the whole thing, linked to another event in the last day or so, could change the face of F1 forever. Before looking at that, however, I need to point at a couple of new developments that have received little attention but may be very significant. Barbara Pini, a lawyer assisting Stepney, said: "There were five envelopes: bills, bank balances, receipts. There was the payment - and therefore the proof - of the journey to the Philippines. "What was lacking was the letter of his sacking by Ferrari, which was what we were most interested in. Maybe it's still at the post office." Proof is mentioned at last! The lawyer does not say so but, for her to have mentioned it at all, the payment must prove that Stepney's visit to the Philippines was indeed booked through normal Ferrari travel arrangements. So Stepney was telling the truth on that score, at least; more importantly, however, it also means that Ferrari were not and that the whole idea of him rushing off to hide was a deliberate misrepresentation of events, designed to throw suspicion on to their employee. That is a telling point - if Ferrari are prepared to lie about that, how far can they be trusted in other assertions? The other matter has been emerging for some time - and it's a matter of timing. 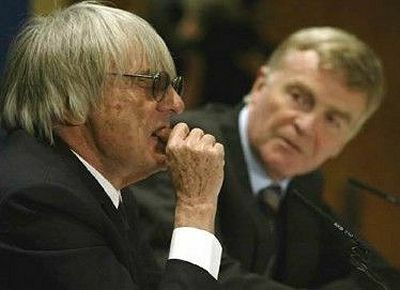 Ferrari have been trying to prove that Coughlan (and perhaps McLaren) has had the documents longer than suspected before. As detailed in Autosport's summary of events so far, it may be that some of the documents at least were floating around in England as early as March this year. And March was when McLaren sent their carefully-worded protest about movable floors to the FIA. Suddenly we see why the dates are so important to Ferrari; they want to create suspicion that McLaren used information gained from the documents to cause problems for the Italian team. Although Ferrari have always denied it, there have been suggestions that the FIA's tightening of the rules regarding movable floors hurt the Ferrari cars' performance more than anyone else's. Effectively, Ferrari would like to prove that McLaren's protest was based on knowledge gained from their illegal possession of the documents. But that ignores the fact that the movable floors were a deliberate circumvention of F1 rules; the charge of cheating is not invalidated by any cheating done by the accuser. If Ferrari's proposed scenario is correct, then both are as underhand as each other. Now we have the situation in which the FIA have summoned McLaren to defend itself over the charge that they had unauthorized possession of the documents. My fear is that the FIA will deliver one of their illogical verdicts and penalize McLaren for having an employee who might have used information from the documents to help McLaren in its competition with Ferrari. That will effectively hand the world championships for this year to Ferrari and its drivers and, once again, the FIA will be suspected of being biased towards the Italian team. This has happened so many times before that we might think that F1 will just shrug its shoulders and continue. But something has changed of late and there may be major repercussions from anything the FIA decide; the manufacturers are now the dominant force in F1. How will Mercedes and BMW, Toyota and Honda feel when they see the FIA bowing to the whim of Ferrari yet again? It might occur to them that winning the championship is even more difficult than they had suspected, that the FIA might well favor Ferrari again in any future disputes between F1 teams. Some time ago I predicted that the agreement between the FIA and the manufacturers would come under strain when the interests of one manufacturer conflicted with those of another; it may be that this is happening already. Couple all this with Bernie's failure to agree terms for a continuing GP at Indianapolis, and the manufacturers have considerable cause for discontent with the way F1 is being managed. While Bernie blithely asserts that F1 does not need a race in the States, the fact is that the American market is crucial to at least four of the manufacturers. All in all, I see a major struggle for power in F1 on its way. And this time, I think Max and Bernie have taken on a bigger opponent than they can beat. Whether the FIA like it or not, the manufacturers now own F1 and they are going to want it to play by their rules, not by the nonsense spouted by the Max and Bernie show. It is critical for F1 to have at least one race per year in the US. This must be rectified at once. F1 politics is seemingly taking over the entire show, starting with Ferrari who (for a while) could otherwise not come up to speed. Every major company has critical documents, and protect them accordingly. Or, is this news to Ferrari? It is common practice in the corporate world to "steal" leading emplyees to access critical know how stored in the persons memory as well as the experience factor of what works and what does not. What a way to adversely impact one of the most interesting seasons. I would be a little hesitant before saying the Nigel Stepney case puts F1 in crisis - it's been in crisis for so long that it's starting to feel normal, even for me. Which is a problem in itself. That is in doubt. F1 regretted not being in the USA for most of the 1990's, though Bernie can blame himself due to a disastrous sequence of choices of race venue over the 1980's (what kind of fool schedules a global motor race in a car park?!? And Bernie did it twice (Las Vegas 1981 and Dallas 1984!) It will regret not being in the USA now. The cost is that it will struggle to convey the impression that it is a global series. After all, Africa doesn't have a Grand Prix, and many of the Asian venues that do are struggling for audiences. All of the new venues (i.e. those introduced after 1996) are at least 50% down on their first-year audience, except China. And China's initial audience was disappointing - they expected (and needed) a sell-out and didn't get it. When wet MotoGP races are attracting nearly as many people as sunny F1 races in the same country (as occurred in France this year), you know there's a problem. The point is that it's not a recent problem - it's simply been allowed to fester for a while. Apparently, most of the powers-that-be have yet to understand what is going on, let alone that it is a threat to Formula 1's supremacy. Of course, I agree completely with all that you have written - F1 has been in crisis for some time; but it does not hurt to point out that the Stepney affair may well be the straw that breaks the camel's back (or even a part of it). It must surely focus the minds of the manufacturers on the fact that things are going very wrong and their control over F1 will be useless if there is no more F1. It strikes me that this may be a ray of hope for the genuine F1 fan - that forces in the real world might bear in upon the fantasies of those running the show. Naturally, I recognise that the manufacturers may well turn F1 into something we do not like at all - but at least they are more awake to the real needs of their audience and are more likely to take heed therefore. Certainly, Ferrari will have to adjust to the fact that they can no longer expect favoured treatment. As for the off-white boxes, you will find that they disappear after a while. Parts of the old design remain in cache and the computer saves itself time by reading direct from the cache, rather than fully re-loading the page. There were all sorts of anomalies on view when I first looked at Mad's re-design but several uses of Ctrl+F5 and a little patience eventually forced the browser to renew its cache and I could see the page as it was meant to be. If you can't wait to see all of the design in its full glory, try using the alternative URL, http://madtv.me.uk/f1insight/ - this usually brings up the page unaffected by the cache. I'm pleased to report that clearing the cache has allowed me to see the new design in all its glory. It looks even better now!